Fleetmatics Group PLC (NYSE: FLTX), a leading global provider of mobile workforce solutions for service-based businesses of all sizes delivered as software-as-a-service (SaaS), has announced that its Board of Directors has approved a succession and transition plan for the Company’s Chief Executive Officer (CEO) position whereby effective at the end of 2016 Jim Travers, the Company’s Chairman and CEO for the past decade, will step down as CEO and be succeeded as CEO by Jill Ward, currently the Company’s President and Chief Operating Officer (COO). Ward will also join the Company’s Board of Directors when she becomes CEO. Travers will remain as the Company’s Chairman of the Board. Ward was hired in 2015 and in her current role has been responsible for leading the Company’s operating functions including global sales and marketing, product strategy and development, customer support, operations, human resources and IT. Travers joined Fleetmatics in 2006, two years after the Company was founded in Dublin, Ireland. Since then, the Company has expanded its leadership position in the software-based fleet management market, completed a highly successful IPO, expanded its global presence from three countries to nine, grown from less than a hundred employees to more than one thousand, and built an impressive track record of revenue and earnings growth. Prior to joining Fleetmatics in April 2015 as President and COO, Ward was Senior Vice President and General Manager at Intuit Inc. (NASDAQ: INTU), a global provider of SaaS offerings for small businesses and consumers. She led the Accountant and Advisor Groups, serving accounting professionals who are pivotal to Intuit’s success with SMBs on a global scale. Throughout her twelve year career at Intuit, she led multiple business units to deliver growth through business management solutions for SMBs and enterprise clients. 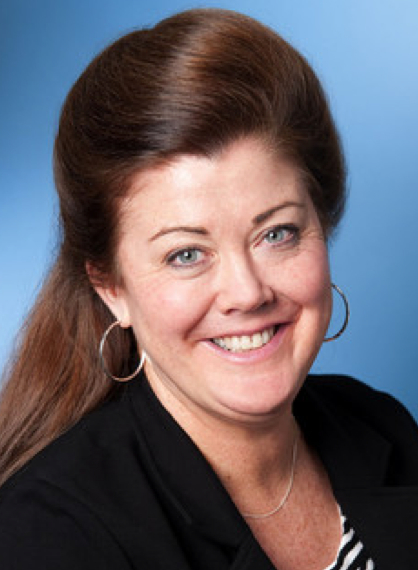 Prior to joining Intuit in 2001, Ms. Ward was President of CRM outsourcer Telespectrum Customer Care, held senior small business and consumer marketing positions at Fidelity Investments, and led strategy consulting teams at global consultancy Bain & Company. She earned an MBA at the Amos Tuck School of Business at Dartmouth College and a BA at Wellesley College.